The Missouri POST Program will recognize the training on the attached memos from the Minnesota Board of Peace Officer Standards and Training, for continuing education credit. 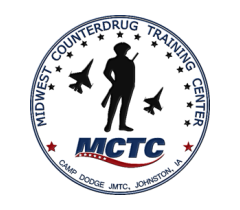 The Missouri POST Program has confirmed it is the responsibility of the agency or officer to properly maintain and assign appropriate continuing education credits (hours) for this training. Q. The explanation letter I received with my certificate doesn't include a breakdown of hours. What training core areas do the training hours belong to? To qualify for continuing education credit, the attending officer must maintain a diploma or other indicia, indicating that the officer attended and successfully completed the continuing education course. In addition, the attending officer must obtain some form of affirmation indicating that the POST Program from any of the above listed states recognizes the course the officer attended. 3.An agenda, course overview, training flyer, or similar documentation describing the course attended by the officer. If not already provided to the officer, the officer should request this documentation from the training provider. Based on the content of the course reflected in #3 above, a representative of the POST Program will work with the attending officer to determine in what core area(s) the training hours should be awarded in. The POST Program Representative will then enter the training hours into the CLEE system for the officer, starting with the 2018 CLEE reporting period."